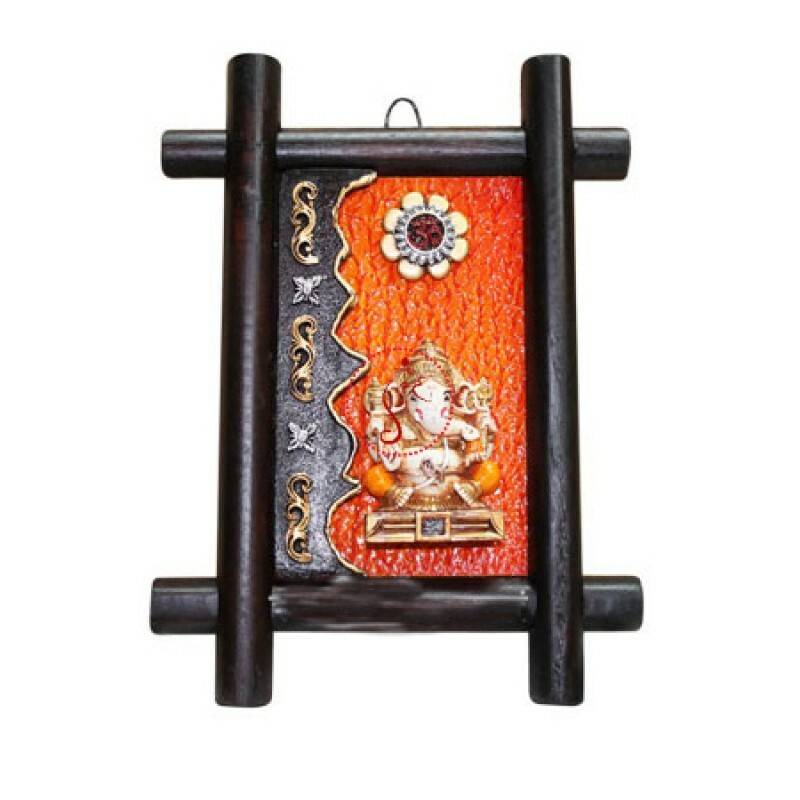 Ganesha encased in a rectangular floral frame, He is all set to add glitters to your beautiful home. 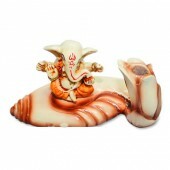 Ganesh is the Lord of Riddhis and Siddhis and is worshipped foremost on every auspicious occcasion. 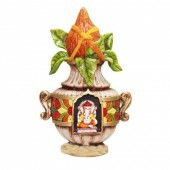 His presence itself removes the obstacles and hurdles in one's way and blesses with name and fame. 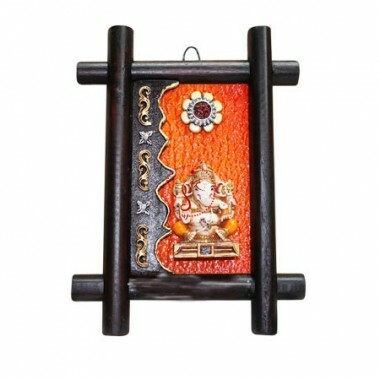 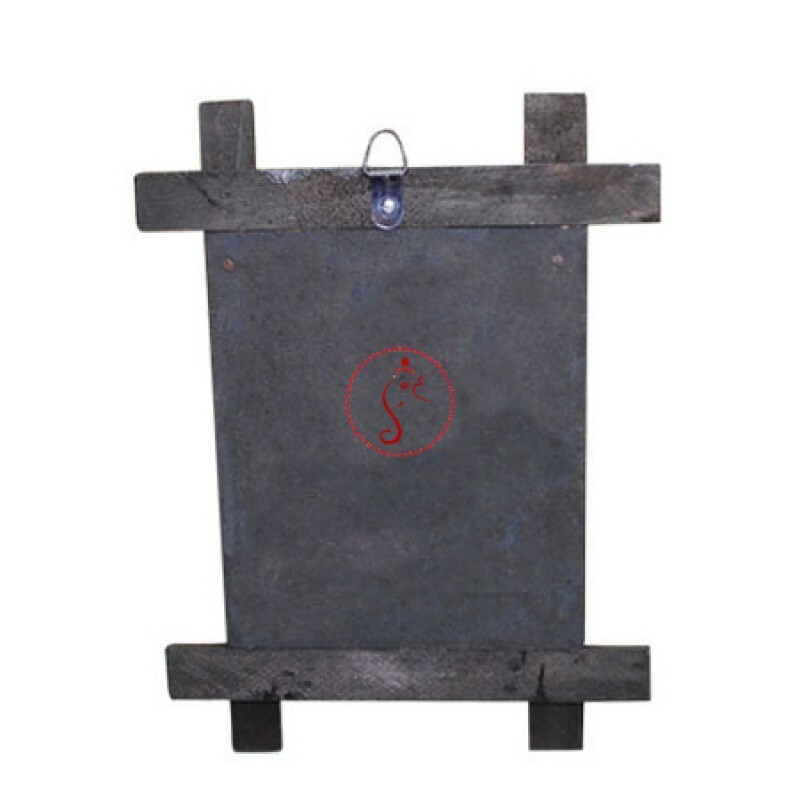 Design: It is made up of fine quality molded fiber.